From the very first moment I spray Eau Fraiche I recognise it as an Edmond Roudnitska composition. Many cite Eau Sauvage (1967) as the forerunner to Diorella (1972), however Roudnitska stated that its antecedent was actually Eau Fraiche (1953). This lesser known creation is more pared down and yes, fresher, than Diorella, but it is sunnier and less bone dry than the more masculine Eau Sauvage. It occupies the middle ground between the two. This ongoing chypre theme found its most full-bodied interpretation in Roudnitska’s beautiful Le Parfum de Therese. He created this during the 1950s solely for his wife, but it was eventually released by Frederic Malle Editions de Parfum in 2000. Eau Fraiche was re-released (and no doubt reformulated) in around 2010. Its notes include mandarin orange, lemon, petitgrain, rosewood, patchouli, vanilla and oakmoss. It bursts open with lots of juicy, zesty lemon and accents of bitter orange. Get up close and you soon sense the shady base underneath. A layer of herbs, patchouli and moss give the fragrance some weight. Over a couple of hours the citrus rolls back, increasingly exposing the chypre-lite base, similar to a retreating tide exposing the seabed. One of the best things about Eau Fraiche is that it’s a citrus scent with a degree of sophistication and this is no doubt thanks to its basic chypre structure. I usually have trouble with lemon-heavy fragrances but the resemblance to Diorella and that familiar Roudnitska signature, make it attractive to me. It’s not too sour and resembles the flesh of the fruit rather than the artificial lemony scent of detergent or furniture polish. Unfortunately, over time, the variety of heady white musk I just cannot tolerate comes to the fore and this eventually becomes a deal-breaker for me. I can’t get past it; however, as is often the case with clean musks, it’s entirely possible that you may not be bothered by its presence or even register it. Eau Fraiche is classed as a feminine but it is completely unisex and would be a great shared fragrance for the warmer months. In fact there is an advertisement from 1957 that markets it as such: CK One, eat your heart out! I didn’t expect much in the way of lasting power and it’s certainly no sillage bomb, however I was surprised when someone (albeit in close proximity) commented on it at around 10 hours after application. They remarked on its freshness so it clearly retains this defining characteristic well into the drydown. 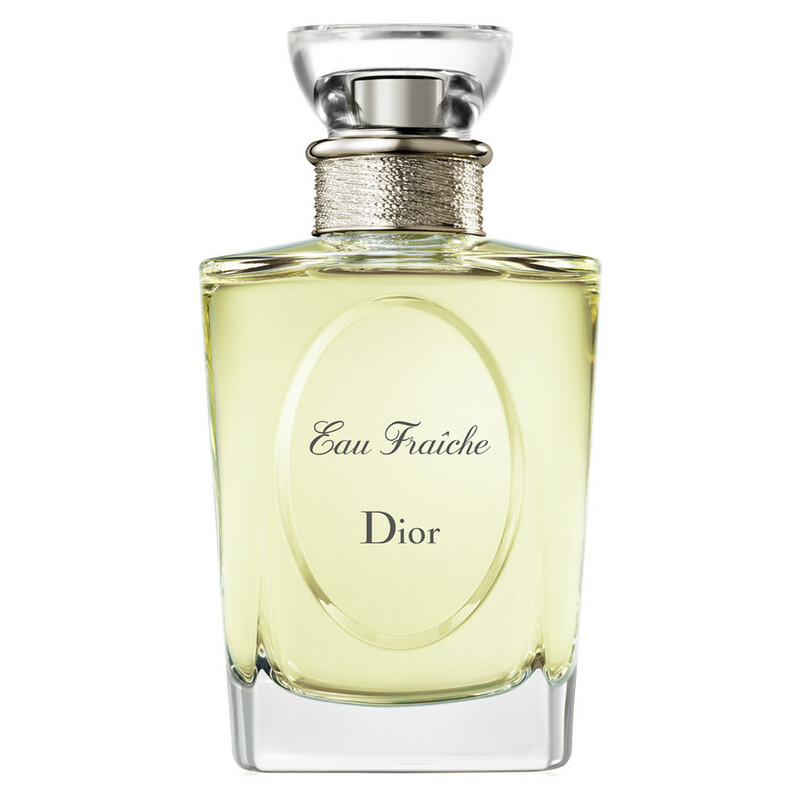 Eau Fraiche is refreshing and uplifting, possessing a relaxed kind of stylishness. It would be a good choice on balmy days when you want something which will help get you going in the morning but still has a bit of class. Apply it liberally and feel instantly invigorated. Have you tried Eau Fraiche? Do you have a favourite Roudnitska creation? This entry was posted in By Tara, Chypre, Citrus, Cologne, Dior, Fragrance Reviews, Frederic Malle and tagged Chypre, citrus, Dior, Edmond Roudnitska, Fragrance, Frederic Malle, Perfume, Review. Bookmark the permalink. I have always been curious about this, although I feel now that I can imagine it perfectly from your review. Aah Neil, what a compliment. The good thing is that you could very well find a vintage bottle which I’m sure would be a hundred times better than this version. I DO feel your insistence about that musk…. It was frustrating because I got a bottle in a swap and was really enjoying it until the musk kicked in. I am like that with fake sandalwood or ambroxan. It is not just a deal breaker, it is a bone breaker. Absolutely. I guess I don’t want to put people off because it might not be the same for them but honestly, I feel like this kind of musk is stabbing me in the head. It started like I might like it but the white musk is definitely a deal-breaker for me. Too bad though, I really like good refreshing scents. It is just your kind of thing in theory, Ines. If you can find a tester, have a spray and just see if you pick up the white musk. You never know. 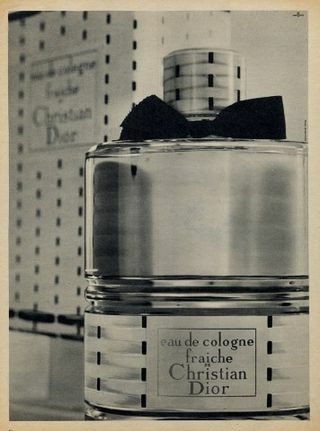 I was just remembering Diorella yesterday, so it’s interesting to hear that this is on the zesty Dior cologne spectrum! I know I have tried it and I think I have a sample somewhere but my memory is vague. Based on my instant success at pinpointing the whereabouts of Virgin Island Water, I may well manage it! There again it might not be the Dior at all, but Eau de Cartier…Anyway, enjoyed this zingy review, which coincides with the sun finally appearing! After a massive downpour it’s still rather grey here, V but hopefully it will cheer up later. This is definitely on the zesty Dior cologne spectrum. I hope it is Eau Fraiche you’ve got and you manage to locate the sample as easily as last week. Having experienced your collection first-hand I now know what a feat that was! Eau Fraiche Vintage bottle so I Will try it soon. Interesting That Eau Fraiche was THE antecedent of Diorella. Did not know That. Diorella is my favorite from Roudniska. I have very special memories of it as it was given to me on my high school graduation day. Some years ago I retried Diorella in a bottle like THE photo above and it was a huge disappointment as was Dioressence so I can imagine Eau Fraiche was reformulated as Well, but was hasn’t ? Eau fraiche sounds like summer in a bottle, very good for now with all this rain ! Thanks, Esperanza. Dior are absolute demons for reformulation but how cool that you have a vintage bottle of Eau Fraiche. I bet it’s fantastic and without any white musk to spoil the party. Love the story of you receiving Diorella on your graduation day. No wonder it’s your favourite by Roudnitska. It’s also mine in the vintage, but not for such a special reason. Current Dioressence smells nothing like the orignal. I love reading your posts. today i learned of a DIOR I was previously unaware of AND that it was an important piece in the Roudniska puzzle. Thanks, Portia. Happy to hear you got something out of today’s post. Sandra, are you still having perfect summer days in Vienna? Wow. We have been deluged with rain and it’s felt more like autumn lately. Tara – I very much enjoyed your review. I do enjoy citrus fragrances particularly with a chypre aspect to give it more structure. 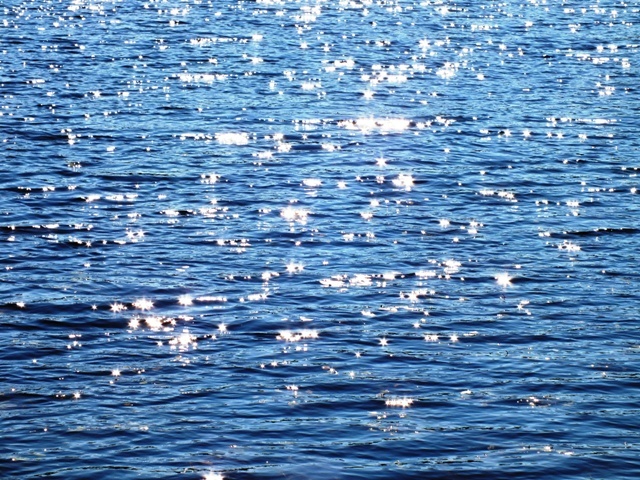 Being in the same area as you I have to agree about the current weather – grey and miserable so your brilliant blue pic conjures up the sunny days we have not had. But sunshine tomorrow !?! Lovely to see you here, Holly. I need my citrus fragrances to go a bit deeper to keep me interested. Therese is a real grown-up beauty, shellyw. Eau Fraiche is very bare bones in comparison. Give Diorella a try if you haven’t already, as it’s closer. Eau Fraiche is definitely best tried in warm weather. That fragrance sounds so interesting. The only thing that that I know that might be in that category is Patou’s “Eau de Patou”. I look forward to trying Dior’s “Eau Fraiche”. anitathepianist, it’s a really nicely done lemon cologne with a some guts. I hope you like it. Another nay vote for white musk here. And yes, that awful sweet thing that goes for sandalwood too… So, unfortunately I can imagine Eau Fraiche so perfectly from your description, I am quite sure I don’t need it in my life 🙂 I do wonder what the vintage version was like, with those notes it sounds like it wouldn’t age well. ‘retreating tide exposing the seabed’ what a wonderfully evocative picture. I’m very curious about the vintage too, Asali. Good point though about it probably not ageing well. I’m sure that’s often the case with citrus heavy scents like this. I’m not going to go down that particular rabbit-hole, but I still fancy a bottle of vintage Miss Dior. Thank you for reminding me of Dior Eau Fraiche. I can smell it in my imagination right now. I have always loved citrus in fragrance and this one was a favorite for me. I had a tall rectangular bottle of Eau Fraiche more than 20 years ago. It was a treat. Straightforward but not simple, a wonderful balance of citrus, rosewood, vanilla and moss. I will try the new rendition in the hope that it might work for me again. Lovely to hear your happy memories of wearing Eau Fraiche. I’ll keep my fingers crossed that the new version works for you. Oh, lovely review, Tara! Sounded just fab, up until you hit that white musk – and I’ll take that as fair warning… One of my least liked notes. Bleh. What a shame but I’ll still happily give this a run through if I get a chance. I know you’re no fan of white musk, Tina, but you never know. Aside from that, it is a great scent. Good to hear you’ll still give it a go. Not only haven’t I tried Eau Fraiche but I have never even heard of it. If I see it at a store I’ll give it a try but I don’t expect much (though I should mention that I usually am not bothered with white musk). Undina, I’ve only ever seen it at bigger department stores. I doubt it was re-released with much fanfare and it wasn’t as eagerly anticipated as the new Diorling, say.